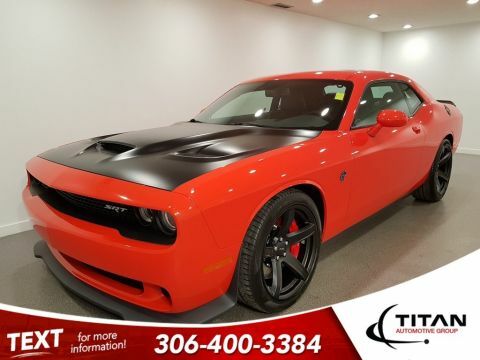 2015 Dodge Challenger SRT Hellcat 707HP Manual Sublime 6700 KMS!! 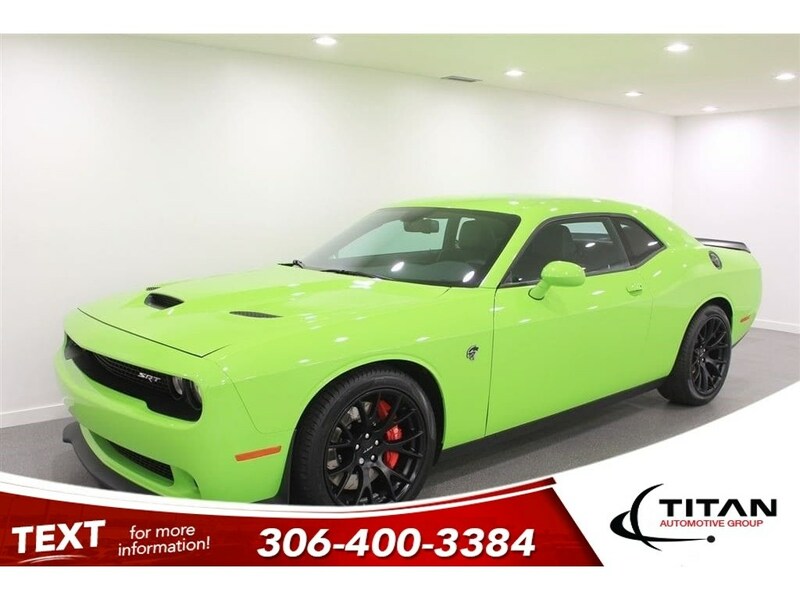 Like a predator lying in wait,stalking its prey,Challenger SRT Hellcat is just waiting for you to unlock the full potential of 707 horsepower. The 6.2-litre Supercharged HEMI SRT Hellcat V8 engine helps produce a blistering quarter-mile of 10.8 seconds and a top speed of 320 km/h. 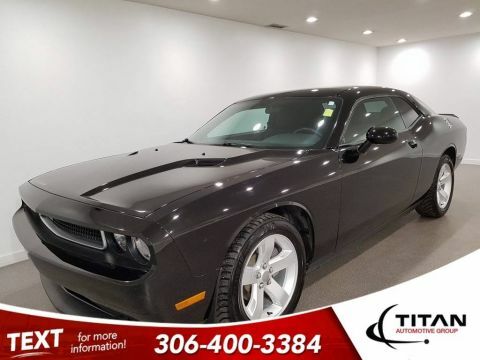 This powerplant is teamed with the high preformance Viper modified TREMEC six speed manual transmission that boast an internal cooling and external,vehicle-mounted oil cooled. Plus so much more! 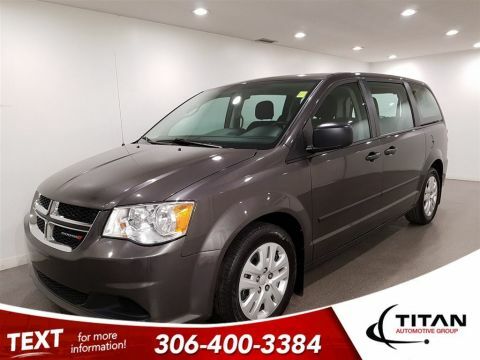 Our Certified Pre-Owned Vehicles are fully inspected and fully reconditioned by our journeymen technicians. We are offering great deals on our pre-owned inventory also,we'll be flying you and a guest to LAS VEGAS!! !